The Obama administration shocked the Catholic Church last Friday by requiring that religious organizations offer their employees contraceptive services, including sterilization and abortion-inducing drugs, as part of their health plans. While churches themselves are exempt, religiously based businesses, including colleges and hospitals, will be required to violate their beliefs in obedience to the new law. In response, Catholic churches across America read a letter on Sunday in protest. The Department of Health and Human Services announced in January that church-linked groups will be required to abide by new health insurance requirements that mandate coverage for contraception, sterilization, and drugs that induce abortions—not only to cover them, but to offer them without out-of-pocket costs. Religious organizations have one year to get on board. This is equivalent to requiring all health food stores, even those run by vegans, to offer a dairy section because it's healthy and people might want eggs and milk. It's like demanding all delis, even kosher ones, to offer bacon because non-Jews might come shopping, and to offer that bacon for free. The Catholic Church is up in arms at the government's interference and disregard for the strongly held religious beliefs of millions of Americans. "[T]he Obama Administration has cast aside the First Amendment to the Constitution of the United States, denying to Catholics our Nation's first and most fundamental freedom, that of religious liberty… We cannot—we will not—comply with this unjust law. People of faith cannot be made second class citizens. We are already joined by our brothers and sisters of all faiths and many others of good will in this important effort to regain our religious freedom. Our parents and grandparents did not come to these shores to help build America's cities and towns, its infrastructure and institutions, its enterprise and culture, only to have their posterity stripped of their God given rights…"
"Despite the fact that certain drugs and devices approved by the FDA can work after conception to destroy a newly developed baby, the Obama Administration mandate still forces all insurance plans to carry these drugs and devices even if employers are morally opposed." By directly and specifically mandating that religious groups put aside their moral beliefs, the government has placed the opinions of its agents over the values of the people and has therefore violated the First Amendment. "Congress shall make no law respecting an establishment of religion, or prohibiting the free exercise thereof…"
The rule does exempt churches themselves, but church-affiliated universities, schools, and hospitals are not exempted, even though the same belief systems apply. 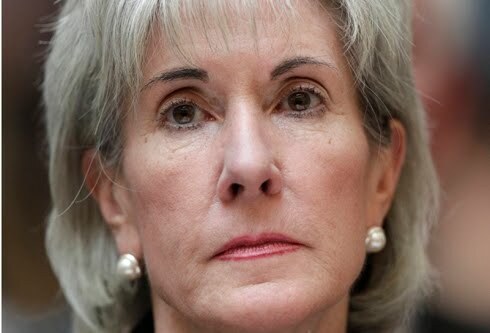 On Friday, HHS Secretary Kathleen Sebelius gave religious institutions a half-hearted boon by offering a year grace period, as though giving religious groups a year to violate their consciences was a good compromise. On the other hand, family planning groups were pleased with the decision. "This is good news for millions of women whose access to contraceptive services under this new benefit was being questioned," said Sen. Patty Murray (D-Wash.). The issue is not whether millions of women will be forced to bear children when they would rather not. Contraceptive services are still available across the country. The issue is that those religious groups that believe certain forms of contraception are wrong should not have to pay for them. Michael Walsh ranted about the matter on National Review Online, pummeling the Catholic Church for not considering its options to be more than "either violate our consciences, or to drop health coverage for our employees." He wants the Catholic Church to say that they refuse to recognize the law's moral authority and simply ignore its provision. Referring to Poe's short story, "The Cask of Amontillado," Walsh chides, "Once Montresor's got you inebriated and chained to the wall, and is just about to cement the last brick in place, it's way too late to figure out that you're in big trouble. And here you thought he was your friend and neighbor…"
Yet, it is not the end of religious freedom as we have known it. The Supreme Court just recently ruled in favor of religious institutions in the case of Hosanna-Tabor Church v. Equal Employment Opportunity Commission (2011), in which the justices unanimously gave religious groups the freedom to hire and fire whomever they wanted without the same danger of discrimination cases feared by other employers. "The interest of society in the enforcement of employment discrimination statutes is undoubtedly important," Chief Justice John G. Roberts Jr. wrote in a sweeping, broad decision. "But so, too, is the interest of religious groups in choosing who will preach their beliefs, teach their faith and carry out their mission." It isn't the government's job to interfere in such matters, the justices said. On one hand, the very purpose of most religious institutions is to care for people, to provide for them and give them assistance and provision as sources of help and comfort in an often hostile world. When the government dictates to religious groups how to accomplish these goals, contrary to their moral codes, the job of the people is to tell the government, "You've overstepped your bounds. You need to step back."